Westfield Wheaton, commonly known as the Wheaton Plaza Mall, is located in Wheaton, Maryland and has 209 stores. During the 1950s, Wheaton Plaza was the largest shopping center in the Maryland suburbs of Washington, D.C. These shops offer everything from women and men’s fashion, children’s fashion and toys, jewelry, housewares, accessories, books and cards, electronics, and music. The department and warehouse stores in and around the mall include JC Penny, Macy’s, Target, Giant Food Store, and Costco. 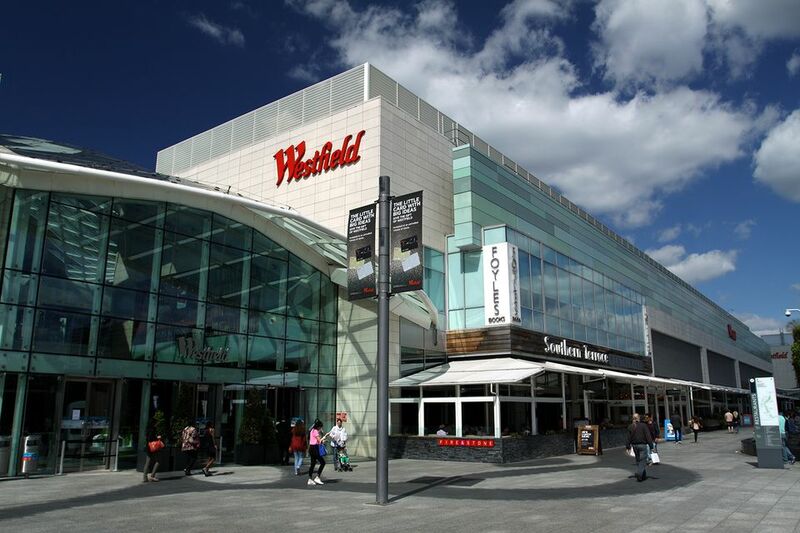 Westfield owns and operates 35 shopping centers in the United States and the United Kingdom, valued at $31 billion. Westfield’s strategy is to create and operate flagship assets in leading markets that deliver great experiences for retailers, consumers, and brands, as well to maximize the value and productivity of the portfolio through ongoing development and intensive asset management. The Wheaton neighborhood is located in Montgomery County, Maryland, north of Washington, D.C., and northwest of Silver Spring. The area is home to Wheaton Regional Park, which includes a nature center, riding stables, and a dog park. The park also provides a picnic area with a carousel and a miniature train, an athletic complex with indoor tennis courts, an ice skating rink, and ball fields. Wheaton also has Brookside Gardens, Montgomery County's award-winning 50-acre garden. It has been designated by the State of Maryland as an Arts and Entertainment District, joining Silver Spring and Bethesda as the third district in Montgomery County to receive the distinction. The Westfield area is also well-known for its diversity of restaurants. Mall visitors may dine at the food court or enjoy a more relaxed meal at restaurants like Checkers or Crisp & Juicy. They can also see a movie at the AMC Wheaton 9, a nine-screen movie theater located at Westfield, that features recliner seating, reserved seating, and a MacGuffins Bar serving AMC-crafted cocktails. The mall also sponsors seasonal family-friendly events, and Downtown Wheaton offers a TGIF Summer Concert Series to showcase and promote the local area. Metro: Visitors can take the Red Line to the Wheaton Metro station, and then take the bridge crossing Viers Mill Road to the mall. Driving From I-270: Drivers can take I-270 South to I-495 East, and then take exit 31 for MD-97/Georgia Ave. toward Silver Spring/Wheaton. Drivers should then keep right at the fork, follow signs for MD-97 North, and merge onto MD-97 North/Georgia Ave. Once drivers take a slight left onto Veirs Mill Road, the mall will be located on their left. Driving From the Capital Beltway (I-495): Drivers can hop on I-495 West toward Silver Spring and take exit 31 for MD-97/Georgia Ave. toward Silver Spring/Wheaton. Then, drivers should keep right at the fork, follow signs for MD-97 N, and merge onto MD-97 N/ Georgia Ave. Finally, drivers will take a slight left onto Veirs Mill Road, and the mall will be located on their left.